Michelle E. Brown is fearless. A champion for diversity at every level, she isn’t afraid to tackle the most difficult issues faced by our communities. Her power lies in her ability to find common ground. Born and raised in Detroit, she has used her strength as a communicator to confront the issues of affordable housing, community development, gentrification, homelessness, drug addition, and bringing HIV/AIDS housing in Detroit. An advocate for youth empowerment, Michelle has worked with several youth programs and initiated reading and writing workshops for children in the Detroit Public School System. Michelle is a guest columnist whose viewpoints and articles have appeared locally and nationally including in for Between the Lines Newspaper, GBM News, the Detroit News, Michigan Citizen and Cherry Grrl. commentator on Radio Free Georgia’s “Alternative Perspectives,” and has appeared on Democracy Now. She co-hosts the national weekly blog radio show CAN WE TALK FOR REAL from Chicago, IL and monthly open mic program “EVolution” in Ferndale, MI. She is also a novelist, a children’s author, and a poet. 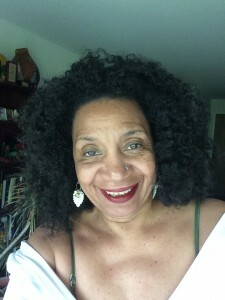 Her books include “Jack with the Curly Tail” for children “Wild Fruit Hidden in Open Spaces,” a collection of prose and another book of poetry released in October, 2014 “Three Layers & a Brassiere”. She empowers everyone to whom she speaks to be accountable for the state of the world and our communities. I simply want to tell you that I am all new to blogging and site-building and absolutely liked you’re web-site. Likely I’m likely to bookmark your site . You surely come with terrific posts. Many thanks for revealing your website page. I simply want to say I am very new to weblog and seriously loved you’re website. Probably I’m want to bookmark your blog post . You amazingly come with great articles. Thanks a lot for revealing your website. I had been curious about if you ever thought of changing the layout of your blog? Its well written; I love what you have got to say. But maybe you can add a a bit more in the way of written content so people might connect to it better. You have got a great deal of wording for only having one or two pictures. Maybe you can space it out better? The structure for the weblog is a bit off in Epiphany. Even So I like your weblog. I may have to install a normal web browser just to enjoy it. I truly appreciate this post. Ive been hunting all over for this! Only wanna remark that you have a very decent site, I love the style and design it actually stands out. Very nice post. I just stumbled upon your weblog and wished to mention that I have really loved browsing your blog posts. In any case I’ll be subscribing to your feed and I am hoping you write again soon!